We thank our players, coaches and employees for their commitment to the game of football and to this venture. Our fans believed in the AAF from the beginning, and we thank them for their support. We are hopeful that our players, coaches and others will find opportunities to pursue their football dreams in the future. Of note, the AAF also said in its statement that it "is committed to ensuring that our bankruptcy proceeds in an efficient and orderly manner. Pursuant to the bankruptcy laws, a trustee will be empowered to resolve all matters related to the AAF's remaining assets and liabilities, including ongoing matters related to player contracts." 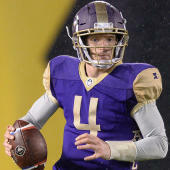 According to a source close to the AAF, players can sign with CFL teams.